Only the shimmering light of candles (lit, that tortured souls find peace, and the living do not forget) shines through my room, creating strange fluid forms on my bed, my soul, and my memories. Again, I have five years and my childhood is suddenly looked up in the in the basement. I cannot go out because the gates of hell opened and the air filled with the smell of sulfur, blood, death. Most repulsive creatures crawled out from it, dancing the dance of death, salivating and suppurating on the white bubs of my childhood smile. In the basement is warm and safe (although we are stumbling on crates and each other) and my mom tells me that it is the most beautiful and strongest castle in which nothing will happen to me, because somewhere in the long dark night my dad is a knight on a white horse, keeping our castle and his princess in it safe. She puts me in her lap and tells me the story of the damned people witch the ghosts of the past won’t leave them in peace, and who through the ages have been bleeding for every stone and every nugget of their land. She is telling me about two sisters who, seeing the sea, have seen God’s tears in it, as though they knew that we would cry so much tears. The story goes further to the Domobrans, the Partisans, the Ustashas, (armies in the WWII), the Chetniks (the Serbian nationalist guerrilla force) ….. about the historical storms that did not break us, but that we are still indestructible as the huge Slavonian oaks, like centuries-old olive trees. I do not understand her, but the sound of her voice and the heartbeat of my brother’s heart in her stomach calms me down and a drift in to sleep of her lap. Something roused me from sleep and I see my mother crying, the first time since this madness started. I hear my grandfather swearing all the saints, the stars and the god of heaven himself and my grandmother praying Hail Mary. My mother’s tear fell on my cheek and she just whispered V U K O V A R.
Twenty six years have passed from that day and still I lit a candle in the window to remember all of those we lost in that hell. 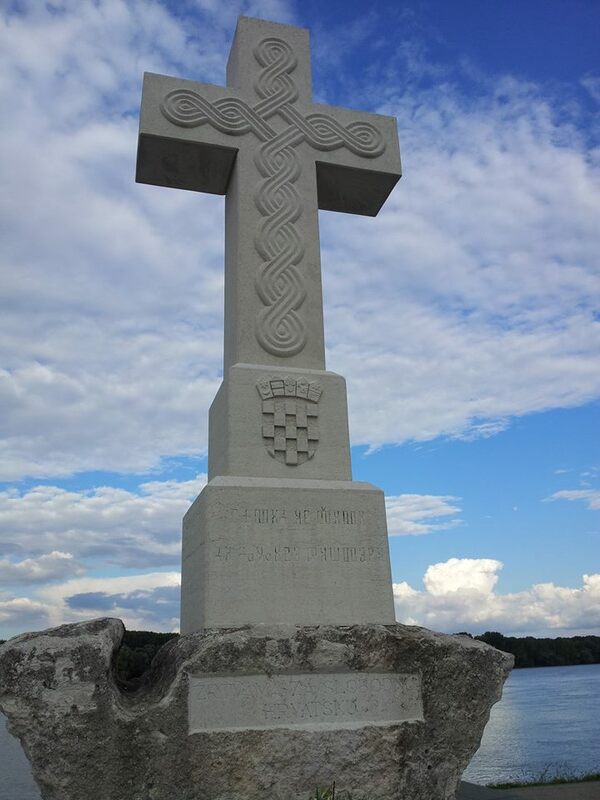 I will not post pictures form that period, they are too terrifying to look at, it is enough that see them in my mind from time to time, but I will post photos from Vukovar today. 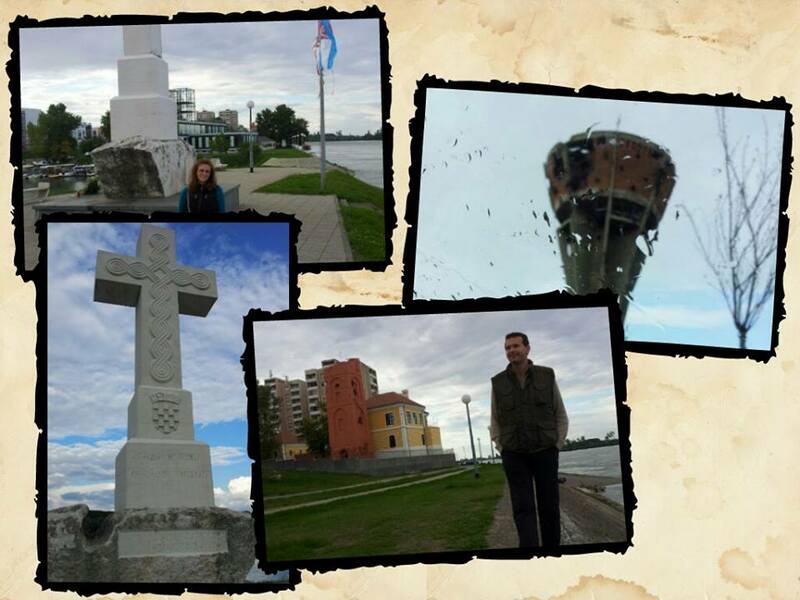 Vukovar, even if he did suffer so much, is the one of the most beautiful cities in Croatia and it is worth to see if you ever find yourselves in Croatia. And to people of that city stay strong, you are real heroes for all of us.